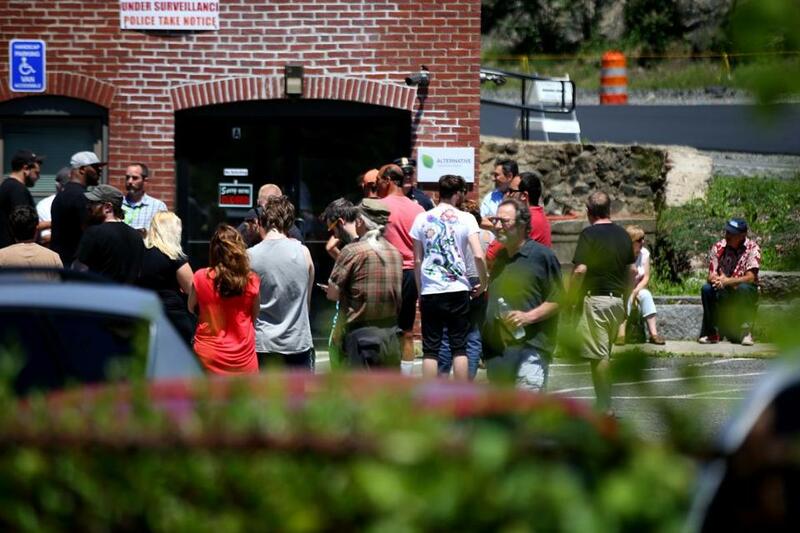 Customers waited for the state’s first medical marijuana dispensary to open in Salem, on June 24. That dispensary, Alternative Therapies Group in Salem,was granted permission by state regulators on Wednesday to expand its offerings, receiving permission to fill orders for first-time products such as marijuana oils and baked goods, which many patients prefer over smoking marijuana. Regulators also moved Wednesday to allow a second dispensary to open. A Brockton company, In Good Health, was issued a temporary state waiver to sell cannabis that has not been fully tested for pesticides and other contaminants. Laboratories in Massachusetts are still struggling to complete quality testing required by the state health department under rules considered to be among the most stringent in the country. 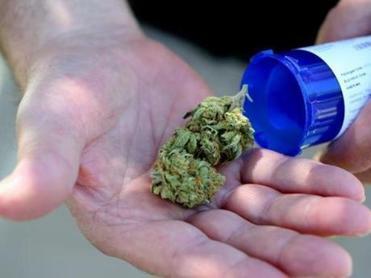 Nichole Snow, executive director of the Massachusetts Patient Advocacy Alliance, said the state’s decision to grant a waiver allowing sale of marijuana-infused products in Salem is welcome news, but hardly enough to meet demand. In its application for a state license, Alternative Therapies projected it would serve about 1,500 patients its first year in business, the number they ended up serving in two months. But the initial estimate was adjusted upward. Far fewer licenses than expected were granted for the first year, increasing demand at the dispensaries that would open. Two groups are planning to file petitions for ballot measures Wednesday, setting the stage for a fierce battle in 2016. More than 20,000 people have obtained the required physician certifications to legally buy marijuana for medical use, and nearly 12,000 of them have completed registration to shop in a dispensary, state records show. Fifteen dispensaries have received provisional licenses, but until Wednesday only Alternative Therapies had been approved to start selling marijuana. The company opened June 24 with a long line of patients waiting at the door. Under the latest waivers, the Salem and Brockton companies will be allowed to dispense a maximum of only 4.23 ounces of marijuana to patients every two months. Patients will be instructed to consume no more than 2 grams a day. When testing problems are worked out, patients will be allowed to buy up to 10 ounces of marijuana every two months, under state rules. The waiver granted to In Good Health does not allow the Brockton company to sell marijuana-infused products, leaving Salem the lone company with the state’s blessing to sell such items. A spokesman for In Good Health declined comment. In issuing the waivers, state health commissioner Dr. Monica Bharel said it would “cause undue hardship” to patients if regulators prohibited all sales until the marijuana products passed full screening tests. “Noncompliance does not jeopardize the health or safety of any patient or the public,” Bharel said in letters to each of the companies. Chemists at two labs preparing to test dispensary products said state guidelines are far too rigorous, particularly for screening metal contaminants such as cadmium. Regulators issued the guidelines in May, but the chemists said that was not nearly enough time to buy, calibrate, and test equipment sensitive enough to detect pesticides and metal contaminants to the levels required by the state. “This is turning out to be the most stringently tested products on the market,” said Michael Kahn, president of MCR Labs in Framingham. Kahn said he hopes his lab will be ready by the end of this month. Christopher Hudalla, chief scientific officer at ProVerde Laboratories in Milford, said his team has been able to screen for 14 of 18 pesticides monitored under the state rules, and is working with an outside lab to cobble a solution for detecting the problematic metal contaminants. The leader of a trade association representing dispensaries said he is “deeply concerned” that the state’s testing limits, if not adjusted, may prevent patients from accessing marijuana. “We hope that [the health department] will remain receptive to new information and willing to improve their testing standards so they are logical, scientific, not unduly burdensome, and protective of the health and safety of both patients and the citizens of the Commonwealth,” said Kevin Gilnack, executive director of the Commonwealth Dispensary Association. The testing dilemma is not unique to Massachusetts. Dispensaries in Nevada have also been struggling with strict screening limits, delaying some openings and forcing others to toss entire batches of marijuana because they exceeded state limits for pesticides, metals, and other contaminants. Massachusetts voters in November 2012 overwhelmingly approved medical marijuana. But the awarding of dispensary licenses quickly became mired in controversy. The system was revamped and streamlined earlier this year by Governor Charlie Baker’s administration. Since the retooling, an additional 107 applications have been submitted by companies hoping to open dispensaries.